We first heard from Ashley Henry, the Chief Collaboration Officer for Business For A Better Portland (BBPDX). Henry, whose background includes climate, clean energy and affordable housing advocacy, has been a long-time community partner with one of our members, Kristen Connor of Heritage Bank. She told us about the organization’s roots as a volunteer-group in 2016 called the Portland Independent Chamber of Commerce, and its emergence as a membership organization in early 2017. You can read more about the organization’s history here. 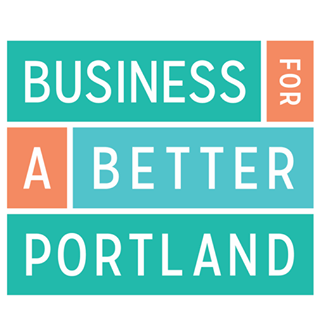 With a focus on bringing greater shared prosperity to all Portlanders, BBPDX has engaged its members and followers in a variety of efforts in 2017 including advocating for tenant protections to prevent homelessness; greater diversity in the workplace in partnership with the Emerging Leaders Initiative; and helping raise over $23,000 for this year’s Pitch Black. You can read more about their calls to action here, their growing list of members here (over 150 in 9 months) and and how to become a member here. They will launch a new website and their September Call To Action (a partnership with Street Roots) on Thursday, September 14 so subscribe at the bottom of their home page to get notifications of that and other ways you can engage as a member or volunteer. Lindsey Maser from Sustainability at Work presented behavior change tips to nudge your coworkers towards specific sustainable behaviors, like recycling, biking to work, or turning computers off at night. Find out what’s getting in the way of your audience taking the action (barriers), and what might motivate them to take the action (benefits). Once you know these, you can reduce barriers and increase benefits, thereby making it easier and more appealing for them to take the action. People are hard-wired to take the path of least resistance, especially when they’re busy. Put yourself in your audience’s shoes and go through the action you’re asking them to do: Find any points of hassle or confusion and minimize them as much as possible. Better yet? Make the behavior you want the default, like automatic light timers, or changing print settings to default double-sided. And for your emails or other communications? These days, most people skim emails and other written materials, so you’ve got 5-10 seconds to make your ask clear. Before hitting send (or print) ask a coworker outside the green team to do a “5 second flip test:” spending only 5-10 seconds, they should skim the communication, and tell you want it said. If they can’t tell you the action you wanted them to take, go back and make it more clear. Find tips for making your emails skimmable here. Humans are very social creatures. We take cues from what our peers are doing to know how we should act, and to make better decisions (think of Yelp, TripAdvisor, Amazon reviews). Many sustainable behaviors are invisible, so make them more visible, and show that many people are doing them. 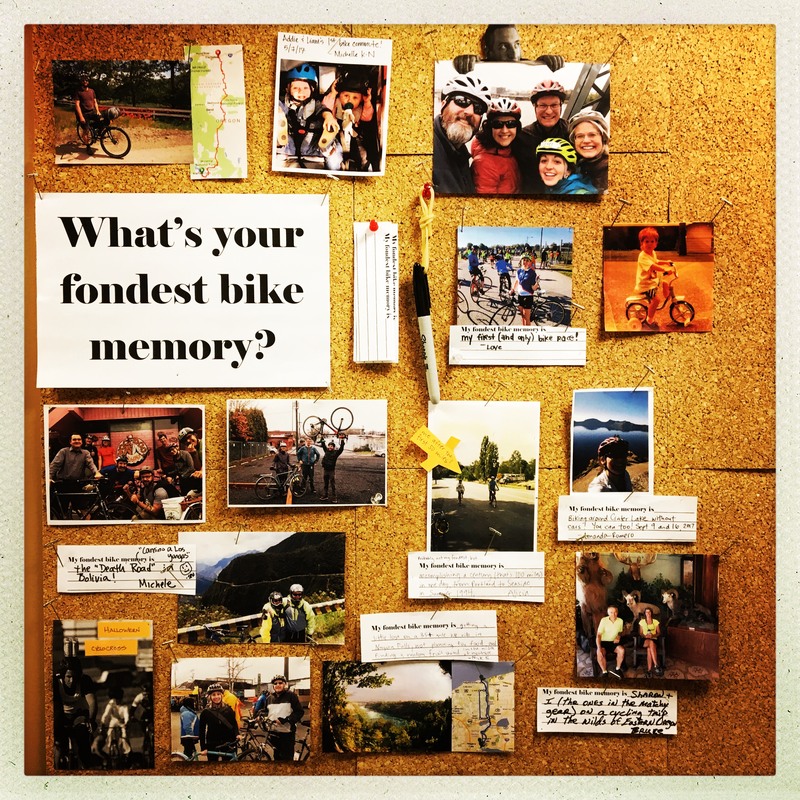 Use quotes and testimonials from staff about why and how they do sustainable behaviors: “Biking is fun, I get my exercise in, and I love zipping past traffic,” or “I always leave my reusable coffee mug by the front door, so I don’t forget it.” Or have people share photos, of them biking, or all the places they take their reusable water bottle to (hiking, biking, picnicking, etc.). Give feedback: We often spend so much time asking people to do something, we forget to follow up and let them know their action made a difference. Positive reinforcement, like a “thank you, great job” email or a “look at the big impact we made through everyone’s efforts,” can be very helpful in encouraging people to continue the behavior. Gamify it: You can tap into people’s competitive nature by encouraging sustainable behaviors through friendly competition. Bike More Challenge and EcoChallenge are great ways to do this. Or create your own version of March Madness brackets for different teams or departments to compete on carpooling, biking, using reusable mugs, etc. Download the workshop exercises and tips sheet. For a copy of the presentation, email Lindsey. A Big thanks to CLEAResult for hosting the meeting space and providing lunch. It’s sponsorship like theirs that keeps the Collaborative running dues-free! If you’re interested in hosting a future meeting, please contact Meghan Humphreys, EarthShare Oregon (meghan@earthshare-oregon.org).